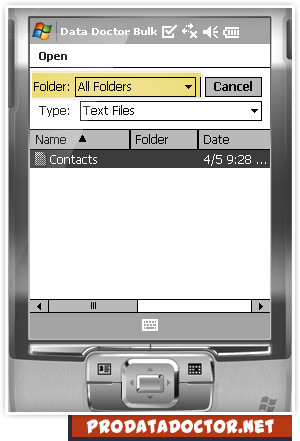 Pocket PC to mobile bulk SMS software creates and sends unlimited text messages from Windows based pocket PC to list of mobile phone. SMS gateway program broadcast notifications as well as standard messages across the world in few easy steps. No need to type same text SMS again and again, just installed bulk SMS software on your Pocket PC device and send thousands of text messages instantly over national or global mobile network. Schools and training institute and other commercial sector. Drive more traffic towards your business and grow business revenue. Helps to promote your business products or services and enhanced customer’s interaction. Streamline your business and increase business productivity. No internet connection is requires for sending bulk text SMS over global mobile network. Reliable and cost effective pocket PC to mobile bulk SMS software. ✔ Send unlimited SMS in less time: Group SMS software broadcasts business campaigns, greetings, share market updates, product launching details and other personalized SMS over worldwide location within minimal time. ✔ No internet connection is required for sending bulk SMS: Bulk SMS software composes and sends group text messages from your pocket PC device to single or list of contact numbers without requiring any internet connection. ✔ Exclusion list wizard facility: Pocket PC to mobile SMS sender program provides exclusion list wizard facility to maintain list of contact numbers while sending bulk SMS over worldwide location. ✔ Saves sent text messages to templates: SMS sender software successfully saves sent text messages details to templates which can be viewed latter whenever requires. ✔ Skip duplicate contact number entries: Pocket PC to mobile SMS gateway program provides option to skip duplicate contact number entries while sending group text messages from your Windows based pocket Pc to other mobile device.